our woe is very lively maybe its something for you! We have around 300 to 500 players online! As a part of encouraging new players to join plans, and to encourage and speed up the process of guilds joining WoE, we're introducing guild packages! If you dont mind 999 with 500 max stats. 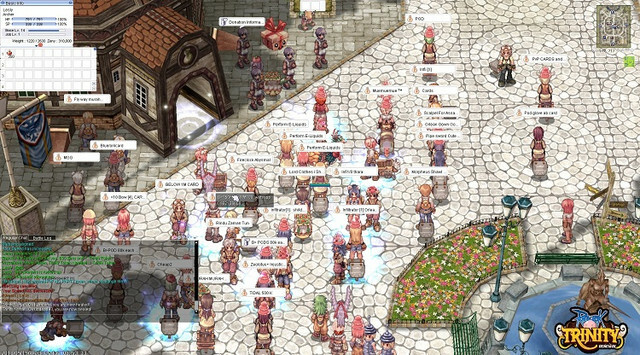 We have about 300+ players online during woe. Good luck on your server hunt! Hello , i do have an old account there , but sadly i can't restore it since the email i use is ****@w.cn , which has been shut down early 2012 i guess by microsoft company , i played it for a long time and i have a lot of equips which i am quit lazy to farm it back , if you could help me out as an admin of this server , me and my friends could go back playing it. thank you for posting , i am a veteran bRO player , who had +700B before wiping , i dont trust there staff since they wiped the server two/three times and i lost all my donation and items , so yeah its a no for blackout RO. We have discord channel please send me DM there my name is syphon on discord! thanks for inviting me , but i don't like main towns being crowded by merchants just to increase the population. yeah.. its bot and vending server.. cashflow alot.. unbalance server like 2009 trinity.